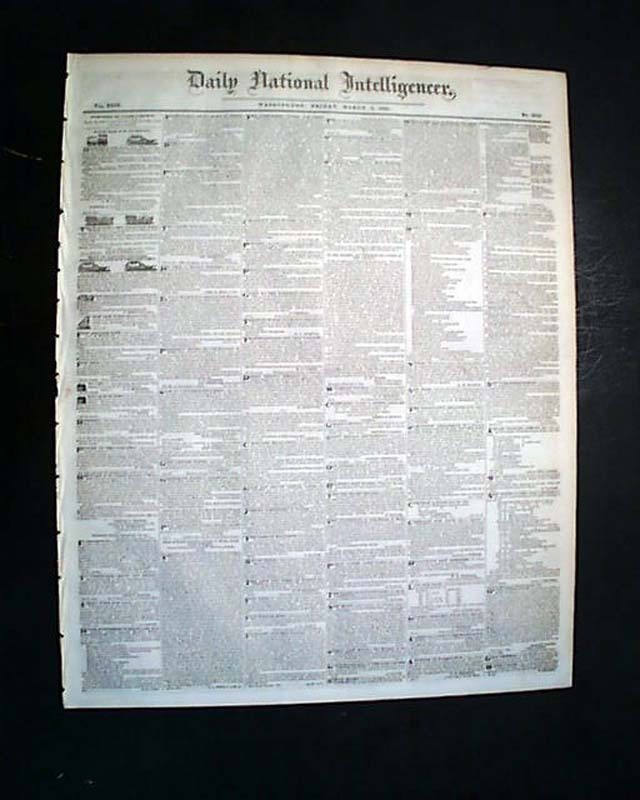 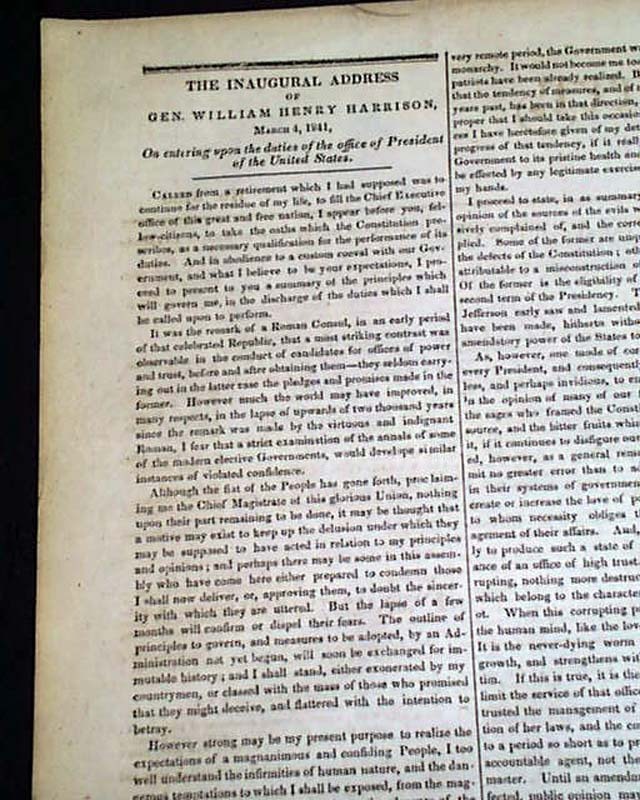 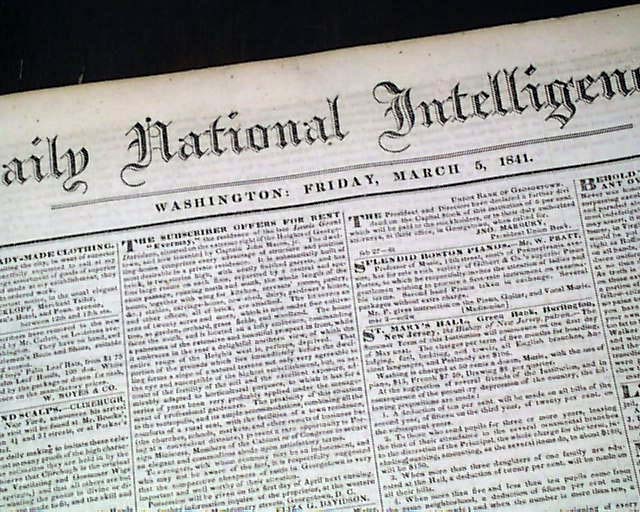 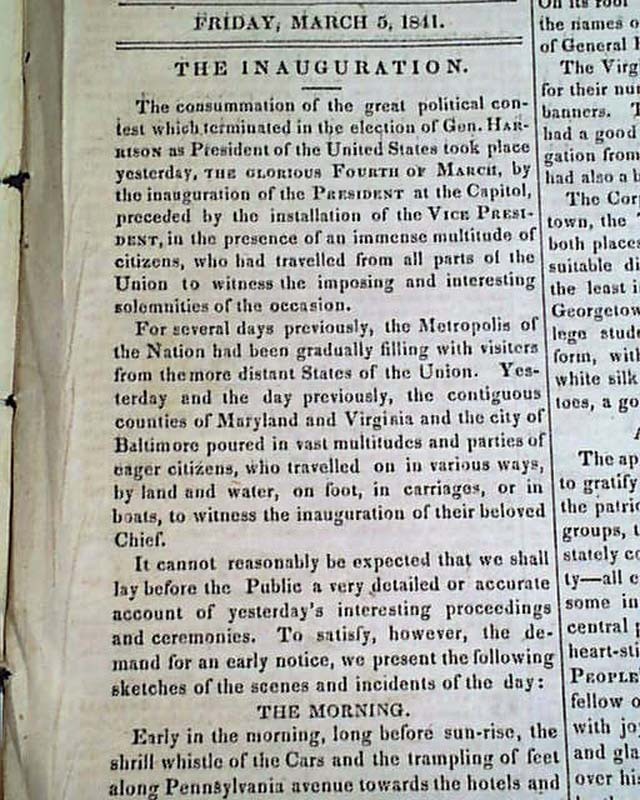 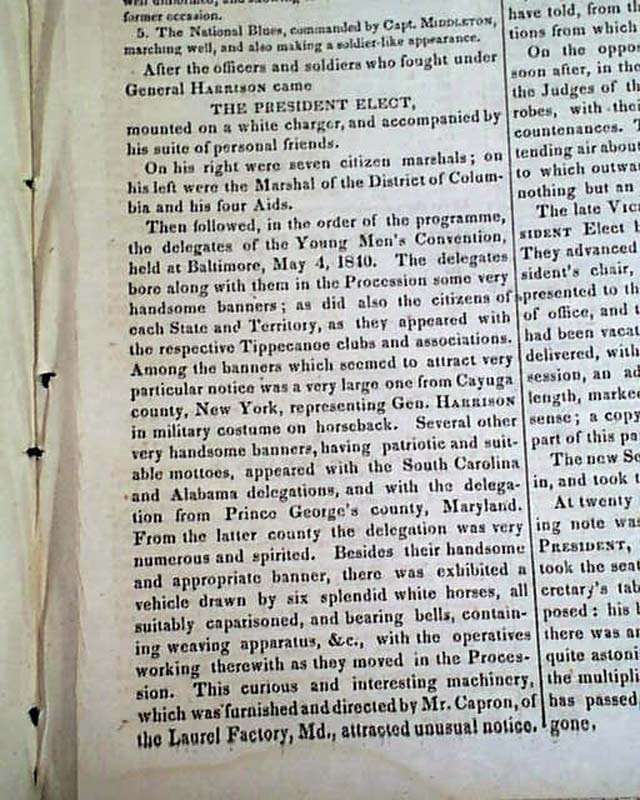 Most of page 2 is taken up with: "THE INAUGURAL ADDRESS of Gen. William Henry Harrison, March 4, 1841, On entering Upon the Duties of the office of President of the United States". 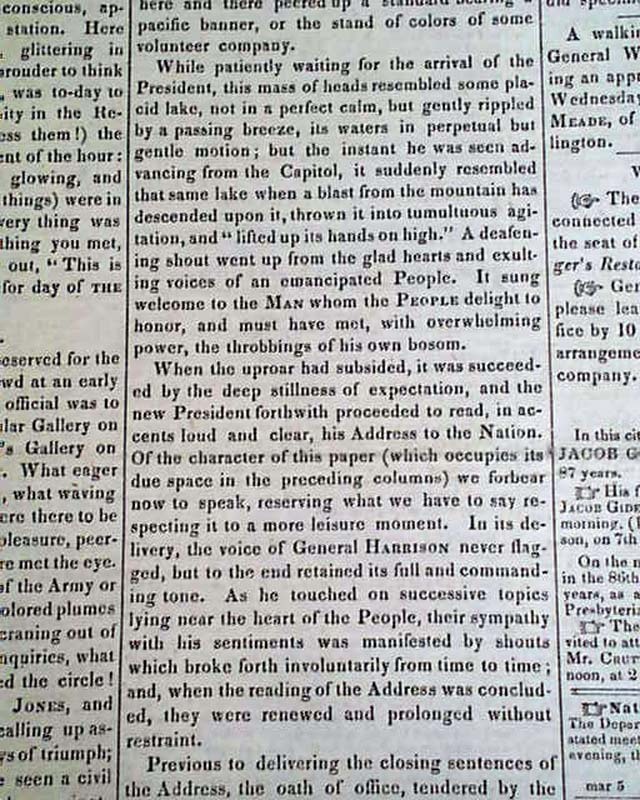 Fully half of page 3 is taken up with excellent coverage of the inaugural proceedings & ceremonies. 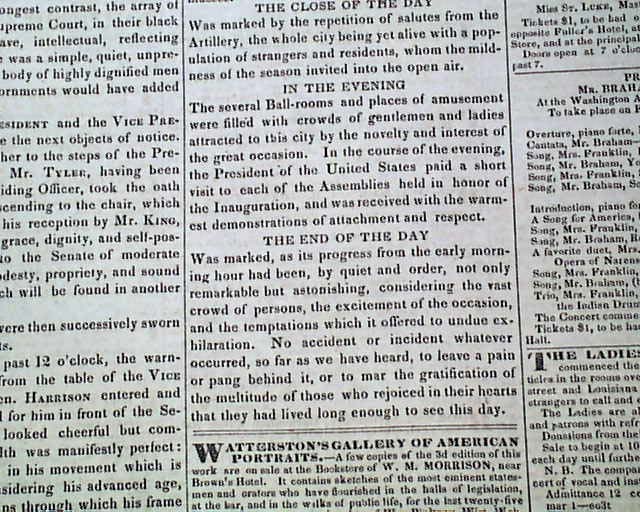 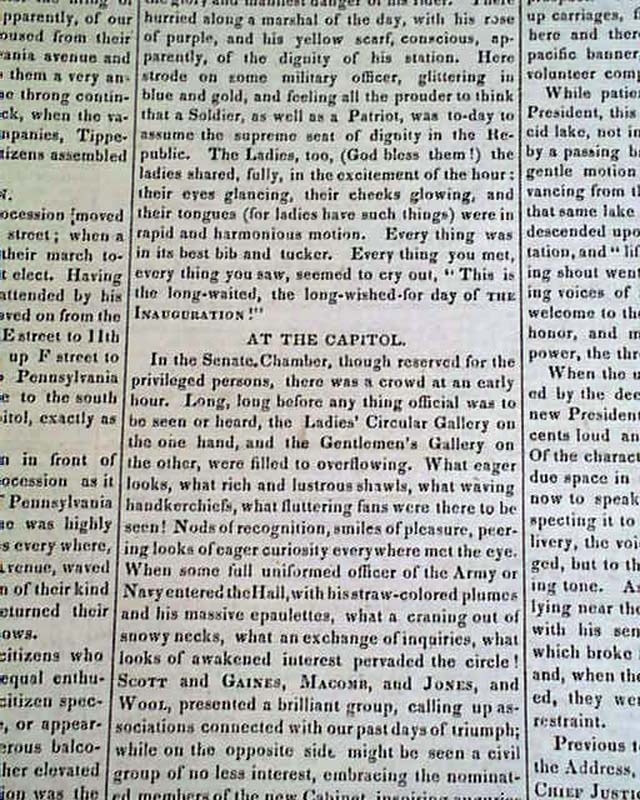 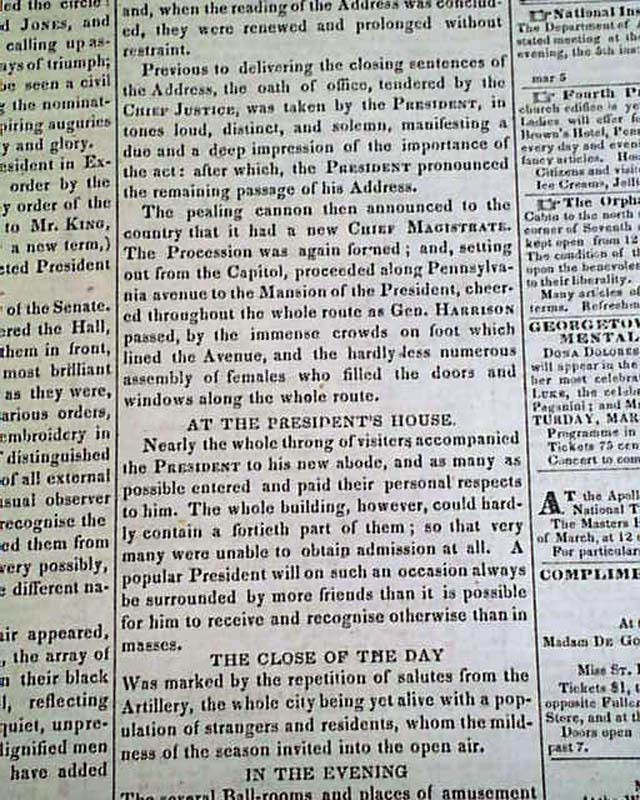 Among the column heads: "THE INAUGURATION" "The Procession" "The President Elect" "Approaching The Capitol" "At The Capitol" "At the President's House" "The Close of the Day" "In The Evening" and "The End of the Day". 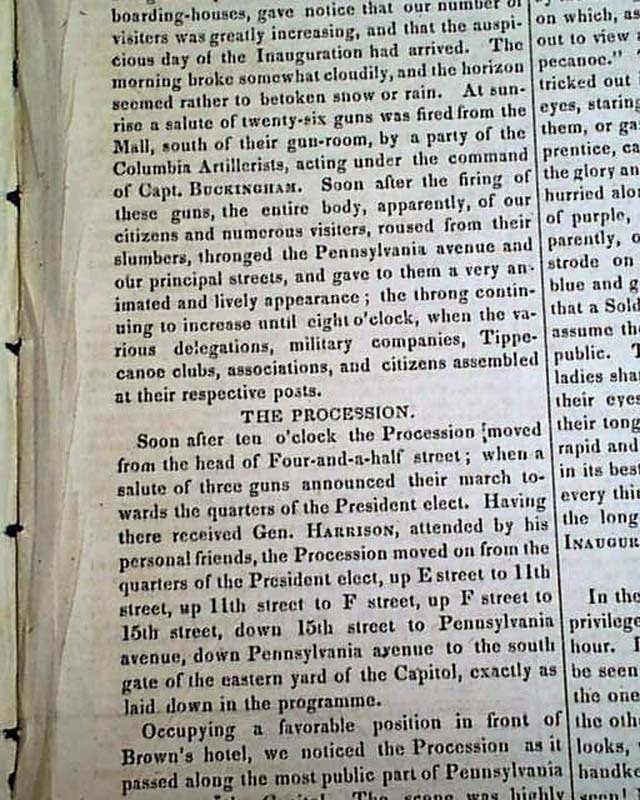 This is the most details coverage of the ceremonies we have seen, but not surprising being a Washington newspaper. 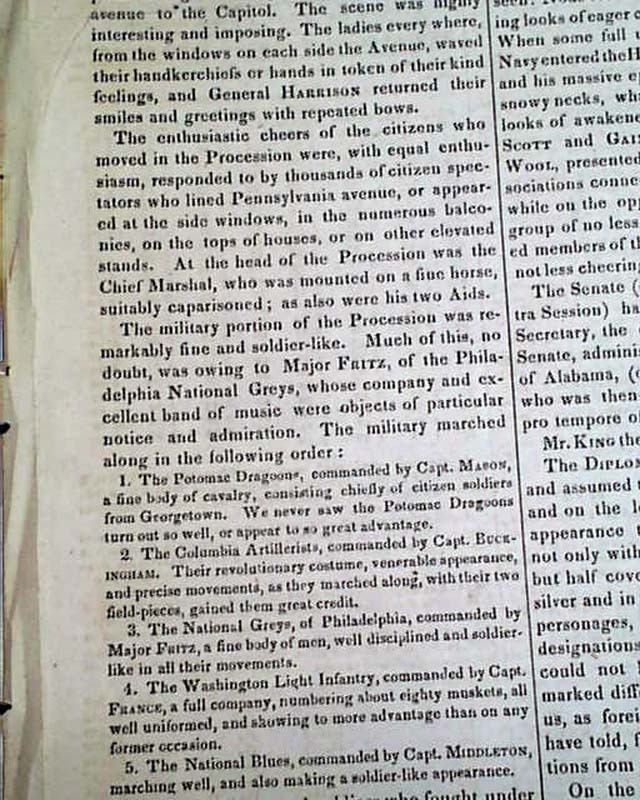 Complete in four pages, excellent condition.